I first discovered CanDo Coffee in 2014, when it popped up on a canal boat moored outside the rear entrance to London’s Paddington Station. However, that was a short-lived appearance and I heard no more about CanDo Coffee until word reached me that it had returned with a more permanent-looking pitch a little further down the canal in the direction of Paddington Basin. I popped back to my old haunts a couple of weeks ago to check out old favourite Beany Green and also to track down the new CanDo Coffee. Tucked away on the tow path, it’s a delightful spot with a couple of outside tables, serving excellent Monmouth espresso, with a few treats thrown in for good measure. There’s also a motorised trike on the other side of the canal, but it’s only open from 07:30 – 11:30 on weekdays and I was too late to catch it. June 2017: CanDo Coffee now uses Electric Coffee Company (and has done for some time, I’ve just been slow on the uptake). June 2018: The second pitch has migrated eastward to Merchant Square, moprhing into a trailer along the way. It’s also now open until 3 o’clock in the afternoon. You can see what I made of it when I visited in June. July 2018: Matt, who was running CanDo when I visited in 2016, now has his own set-up in the City, the Lazy Coffee Cart. Mr Wolfe is one of those places which is preceded by its reputation. It’s also one of those places where its reputation is far greater than the actual place itself. Not that Mr Wolfe fails to live up to its reputation, far from it. It’s just that Mr Wolfe has such a big (and good) reputation, far in excess of its small physical size. Tucked away on Montpelier Place on the Hove side of Brighton, it’s on the next street back from the main east-west artery, the Western Road. 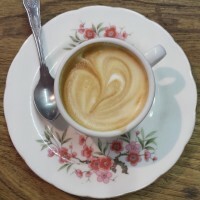 A stone’s throw from Small Batch Coffee’s lovely Norfolk Square branch, Mr Wolfe is just a little off the beaten track, making it a quiet alternative to many of Brighton’s bustling coffee shops. This does mean that you have to track it down, but, on the plus side, it means that everyone who comes in really wants to be there, which all contributes to a friendly, neighbourhood atmosphere. It’s like popping around to a mate’s for (really good) coffee and some excellent home-made cake. To push the metaphor a little further, Mr Wolfe’s a mate who’ll also make you sandwiches or poached eggs, plus he’ll do you brunch at the weekend. 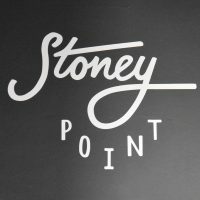 July 2015: Mr Wolfe has closed, but has been replaced with Stoney Point, still serving Monmouth Coffee. Thanks to Nick and Mike Stanbridge for the heads up. Wild & Wood Coffee is one of the first places I covered for the Coffee Spot, a favourite haunt of mine from my pre-Coffee Spot days. Back then, as a regular visitor to the British Museum, I would often break my day with a trip to Wild & Wood for afternoon coffee and cake. These days, when I head up to London, I’m usually on the prowl for new Coffee Spots and I don’t get much time to visit the British Museum. Indeed, I don’t get a lot of time to check out my favourite Coffee Spots, old or new. So, when I visited the British Museum with a friend a couple of weeks ago and she suggested that we went somewhere nearby for lunch, I jumped at the chance to re-visit Wild & Wood. October 2015: Wild & Wood closed at the start of July this year as the whole block that Wild & Wood was in is being redeveloped. 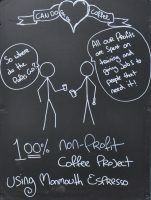 The good news is that it re-opened at the end of August in a new location on London Wall! See what I found when I went to visit. There are places where I prefer the coffee. There are certainly places with more comfortable seating for someone of my height (and with more seating in general). And there are a host of other things I could go on about, but the fact remains that of the handful of cafés in the vicinity of the British Museum that I regularly visit, I find myself drawn back to Wild & Wood far more frequently than one might imagine. There is something about Wild & Wood that I find very attractive, but I’m not sure I can easily put my finger on what it is. Partly it is the attitude of the place, a no nonsense, uncompromising adherence to its principles. Partly it is the style, which has been well thought out; the use of wood throughout is very appealing, as well as being in keeping with the name. In the end, more than most of my favourite places, it comes down to a matter of taste. Give Wild & Wood a go and see what you think.